Artist. Scholar. Athlete. These are some of the many titles that Meredith Wyatt, ’19, has accumulated while at Meredith College. As an art education major, Meredith is treasurer of Kappa Pi International Art Honors Society, a member of Artists’ Alliance, and an athlete on the College’s cross country and track and field teams. She is also an Honors Scholar. Meredith has accomplished a great deal in the form of experiences and honors. She helped the cross country team earn the program's third USA South Cross Country Championship and garner National Division III All-Academic Honors. Meredith has also collected several USA South All-Academic Team honors for cross country and track and field. Last season, she was named the Most Determined Runner on the cross country team. 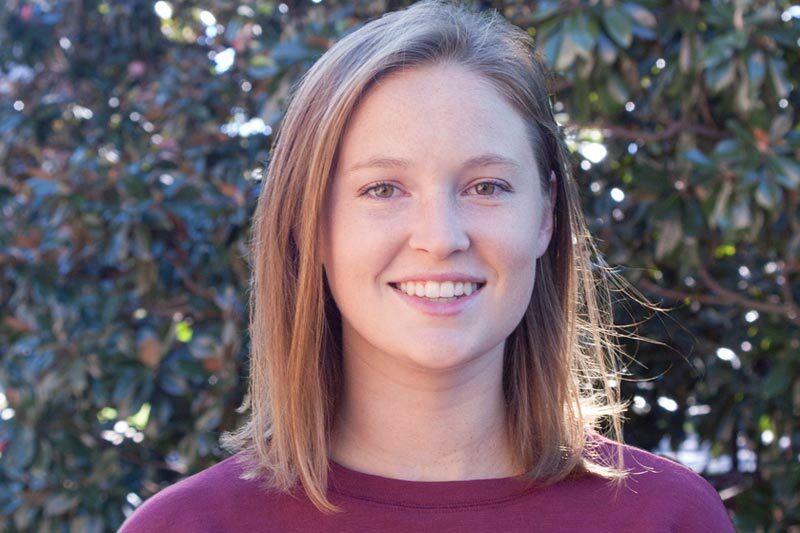 She credits these clubs and activities, as well as her relationship with faculty, with enriching her experience at Meredith College while also providing her with a support system and resources. College comes with joys and challenges that help students grow as individuals. Hailing from Butner, N.C., Meredith struggled to gain independence and her voice for a time, especially while studying abroad in Italy during her freshman year. Meredith became immersed in Italian culture for a semester. She took Italy-specific courses and traveled to several European cities and countries. She was even given the opportunity to help in a preschool and second grade classes as part of her Italy Today class. Her experiences on and off the Meredith campus allowed her to overcome those challenges. Meredith learned she could be independent and that she could speak up for herself. Now a senior, she is working towards her goal of becoming an elementary school art teacher. Meredith not only compliments the college for its academics, but for the environment of support among students.